As the United States collectively wades through a very unstable political era, access to data that helps inform constituents and increase civic engagement in communities is more important than ever. Using an open source JS Timeline from Knight Lab at Northwestern University, I’ve provided a brief history of NYC’s Open Data Law and the city’s very large, comprehensive, and growing public dataset. Aside from the NYC Open Data portal itself, my research started with this post from Data-Smart City Solutions from the Ash Center at Harvard Kennedy School, which gives a detailed overview of NYC’s Open Data Law. 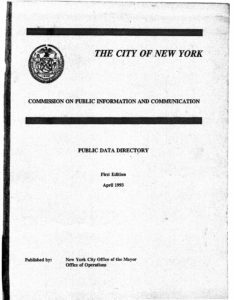 From there, I was able to find digital copies of both the 1993 Public Data Directory as well as the 2001 Data Systems Inventory on DataNYC (now BetaNYC). In researching the Sebastopol, California meeting that started the Open Data movement, I found that OpenDataSoft and the Paris Innovation Review provided great background for this particular event. I had not realized until finishing this project that NYC Open Data still has until the end of this year to finish adding data across city agencies to the web portal. I feel very lucky to be studying in a city that gives this much access to public data, and I look forward to using it more in my work. 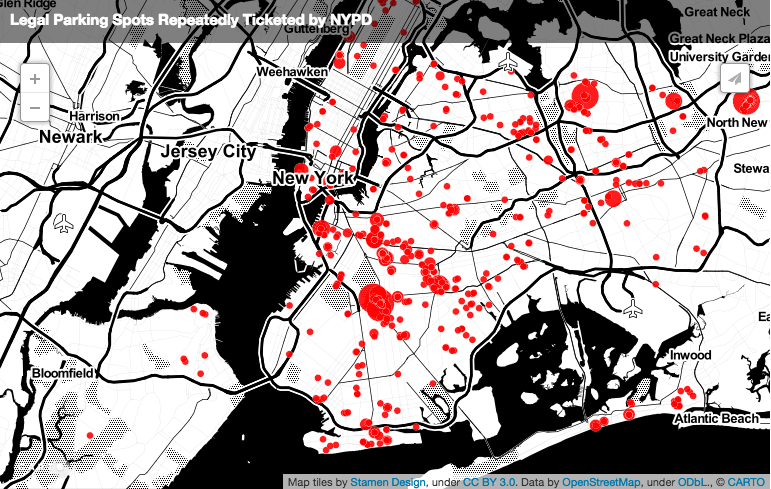 The post A Brief History of NYC’s Open Data Law appeared first on Information Visualization.